The Lynnfield Villager has an article that quotes Ted Tye as saying "We have no plans to file a warrant for the Spring 2014 Town Meeting". He is also quoted as saying "I have consistently said the the right cinema concept would make perfect sense for Market Street"
While it is nice that no article is being submitted for April, there is still an October Town Meeting, so we will continue to wait. His second statement though is bothersome. He agreed with the Selectmen, Planning Board, EDHAC, and Town Meeting that he would not put a cinema in when MarketStreet was rezoned. I find it hard to believe that he would sign an agreement if he knew all along that he had no intention of honoring it. There are 92 days until the next Town Meeting and there have not been any presentations about a cinema at Market Street. Will keep people aware if we hear anything. If you have any observations about the traffic please send them in. My biggest concern is that left hand turn out of market st onto walnut is treacherous. A left signal should be installed immediately. 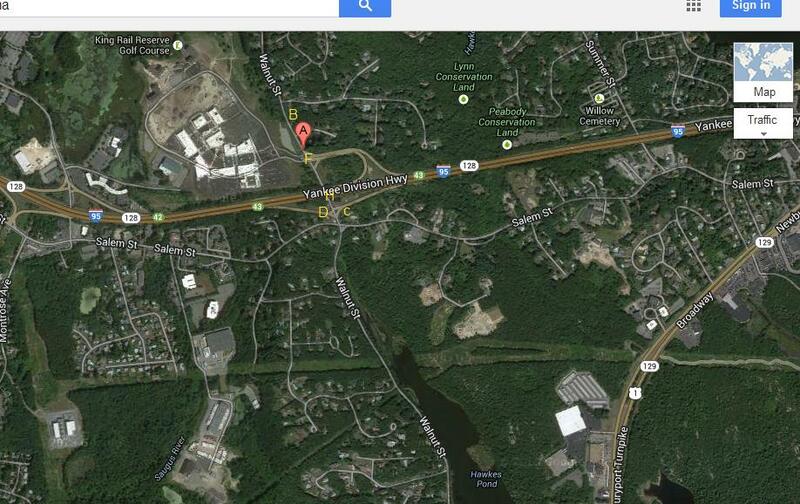 I make that turn frequently and have yet to see people approaching from the off ramp yield turning traffic. They often fly through with their green unaware of traffic trying to turn. Amazing there has not been an issue yet to mg knowledge. As the cars take a right out of Market Street, there is not a large amount of room for the cars (turning radius), especially larger vehicles and trucks, which results in cars entering into the opposite lane of the cars taking a left hand turn into Market Street. Vehicles often cross the line here. Seems very narrow and unsafe. Not sure how this can be addressed. I also have witnessed on several occasions, cars on Walnut Street (those coming down Walnut from Salem Street or off the northbound ramp at Ex. 43), drive in the far right lane and at the light, take a left into Market Street from that far right lane. I too have witnessed, even earlier in the afternoon, cars on Walnut backing up to Hidden Valley and how the HHS school bus (not sure which one) that has to go down Walnut Street and back around 3:00 often hits a lot of traffic and the bus is delayed). I believe the school dept has a way to track the buses and the time they take to do the route, so it may be worth investigating this further to get some additional information. Thanks for the request for feedback. First the main point to remember is that MarketStreet is only 54% built. All of the traffic studies were based on a full build out, so any conclusions that people may make now may not be valid when it is fully built. It remains to be seen if the queuing models for the traffic will hold up when the build out is complete. People’s current favorite reference point is Chief Breen’s statement that at times the traffic will be “onerous and overwhelming”. I have attached two images and have added letters as a frame of reference. On the first image MarketStreet I have the following comments that tie to the the letters. should be kept as clear as possible. I watched someone struggle to get into the lane while taking a left. F- People still are still concerned about the traffic making a left into market street at the lights. H- people don’t see the red light under the underpass, even with the warning sign. See next image. I was in the western part of the state yesterday and noticed that on Burnett Road at the entrance to I-291 in Springfield, they had a red light that seemed to be surrounded with a ring that when it was red flashed with a strobe effect and was very noticeable. Not sure if something like this would be useful but I thought it would be useful to investigate. 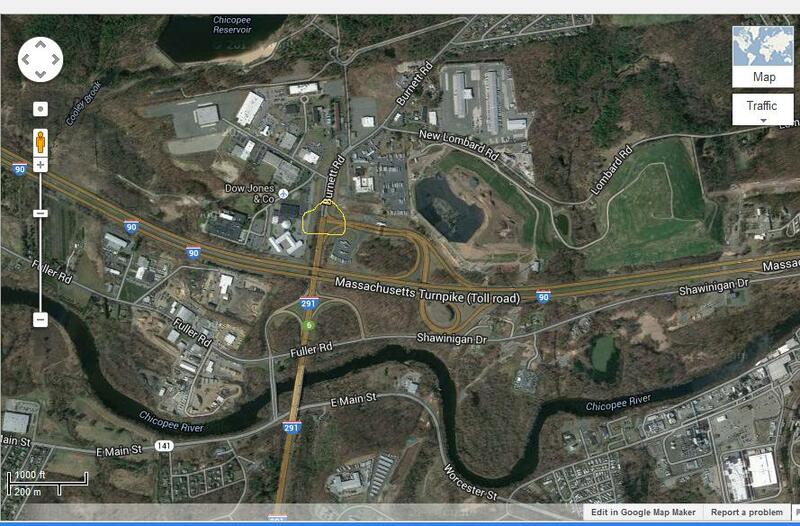 I have attached the image as a frame of reference for MA highway or our DPW. I have circled the location of the light. Tom, I will let Joe add his perspective and comments. He is around town more during the day and will have a different perspective and observations.